#231. 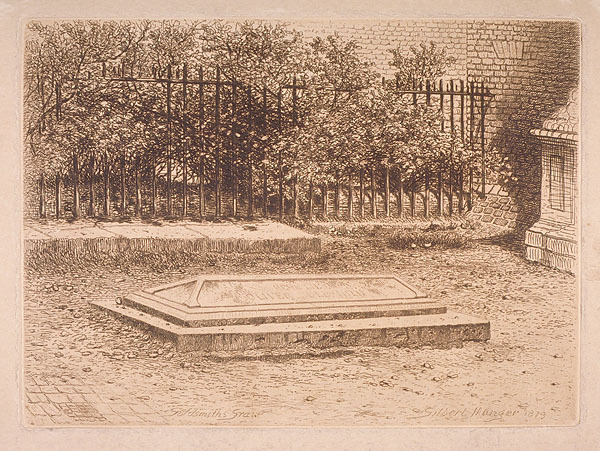 Goldsmith's Grave. 6 x 8, etching on paper. 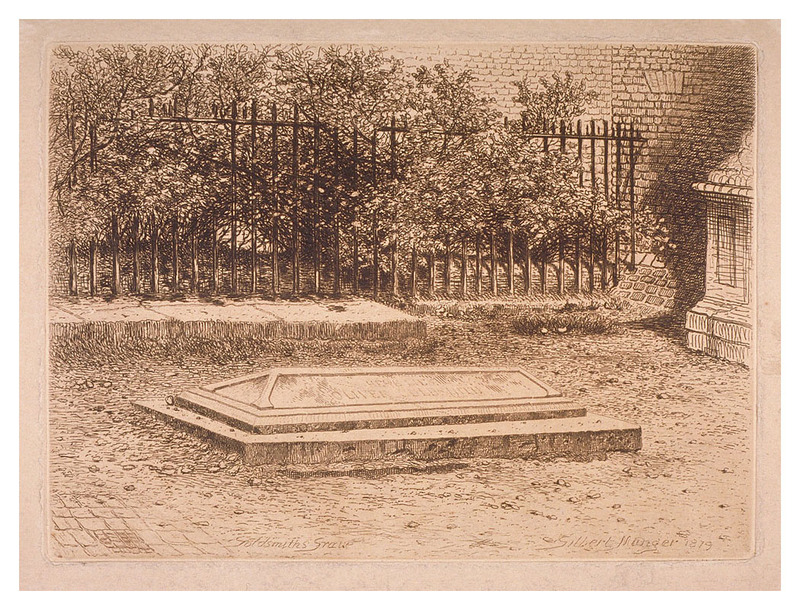 "Goldsmith's Grave" etched front left center; "Gilbert Munger 1879" etched front right; paper size is 8 x 10. One of a group of six etchings of London by Munger. See #213 for additional information. In the collection of the Guildhall Library Print Room, London. Image from a digital file provided by the library.